Stress affects our emotional and physical wellbeing. This article discusses what stress is from a Chinese medicine perspective and how to learn to stress less with Chinese medicine. The emotional and physical components of the body are not separate in Chinese medicine. They are very much connected and an imbalance in one will influence the other. An emotional feeling creates a physical sensation, for example joy creates a feeling of lightness. These feelings and sensations have an affect on the channels and organs in Chinese medicine. Think about how your body feels when it is stressed? Does it feel tight or tense? Do you notice your pulse rate increases and your heart beats faster? Perhaps you feel nauseous? These are just some of the ways people feel stress. Some of the daily practices I encourage my clients to do are to talk openly, stay active, eat and sleep well, ask for support and stay connected. The first step of managing stress is to identify the sources because they will re-trigger your stress. Your next step is to find the things that bring you joy and happiness then ensure they are part of your daily life. Finally be present in the each moment and observe and honour it. 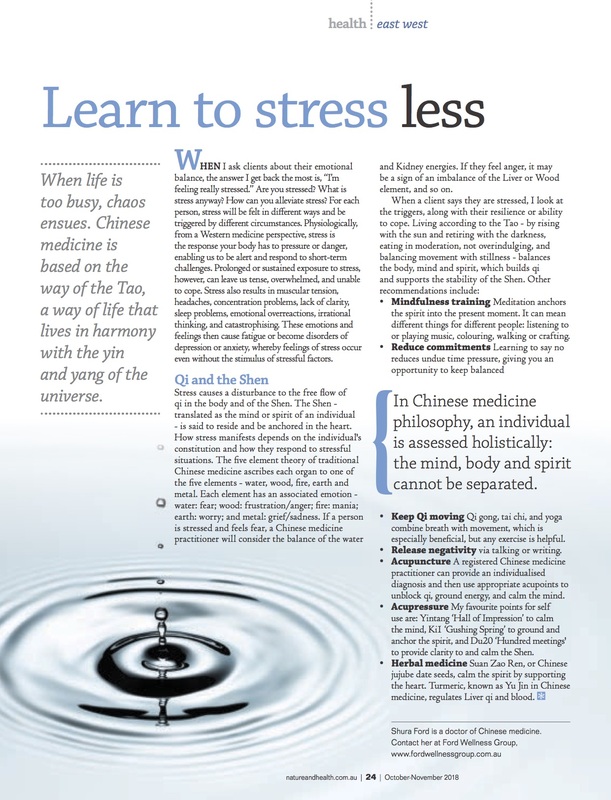 Learn to stress less with Chinese medicine was written by Doctor of Chinese medicine Shura Ford for Nature and health magazine, this article appears in the October- November 2018 issue on page 24. 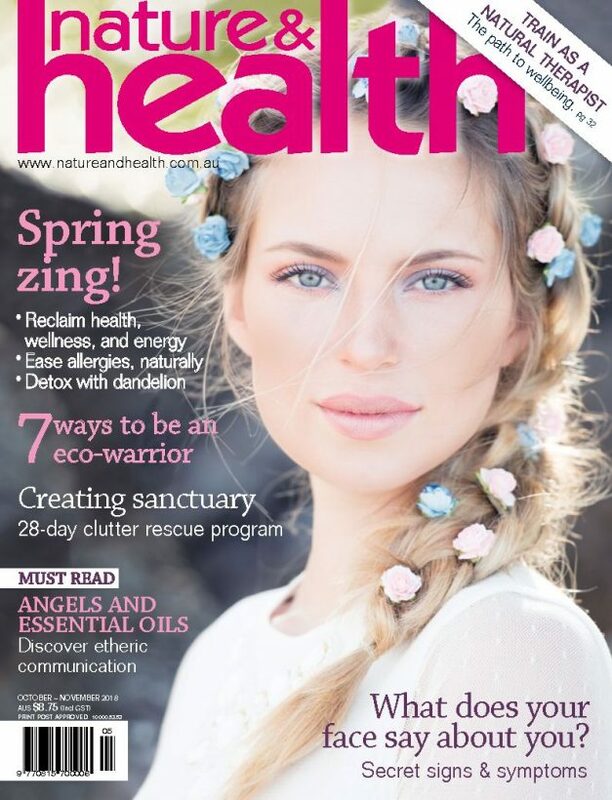 This article appeared in the October-November 2018 issue of Nature & Health, Australia’s original and best natural health magazine.